Worried about violence, several universities have refused him a platform for speeches that mix racism, white nationalism and populism. By Susan SvrlugaThe Washington Post. Pennsylvania State University has denied a request by white nationalist Richard B. Spencer to speak on campus, the university announced Tuesday. 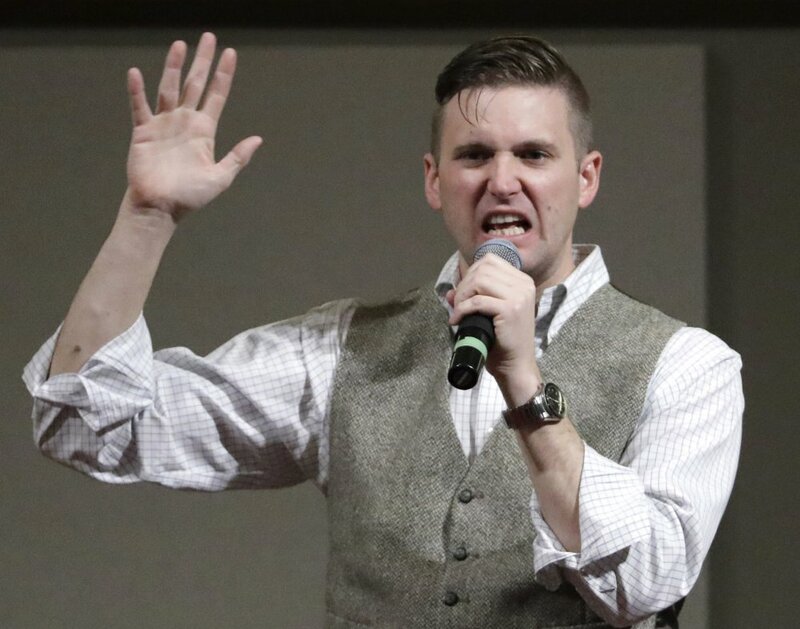 It was the fourth university to deny him a platform in recent days, citing security concerns after a “Unite the Right” rally that featured him as a speaker turned violent in Virginia. Earlier this month, hundreds of Spencer’s followers marched through the University of Virginia’s campus carrying torches and shouting white-nationalist slogans, the beginning of an ideological clash that turned fatal the next day in Charlottesville when a man drove into a crowd of people protesting white supremacy, killing one woman and injuring many others. Two police officers also died when their helicopter crashed. Spencer, who is president of the National Policy Institute, had asked to speak at Penn State in the fall. Penn State’s president, Eric Barron, said in a written statement that Spencer’s views are “abhorrent and contradictory to our University’s values” but that the institution fully supports the right to free speech. However, he said, “the First Amendment does not require our University to risk imminent violence.” He said police had determined the event was “a major security risk,” and that risk, not the content of the speech, was the reason for denying the request. Last week, Texas A&M University denied a “white lives matter” rally, organized by a former student named Preston Wiginton who said he was inspired by the “Unite the Right” rally in Charlottesville. Wiginton had invited Spencer to speak at the event. Michigan State University also denied a request by Spencer’s group to rent space on campus for an event in September. “They’re using what’s known as the ‘heckler’s veto,’” Spencer said. “They’re citing safety concerns as a way to suppress free speech. Legally that just doesn’t hold water. . . . In April, a federal judge reversed Auburn University’s cancellation of a Spencer event.